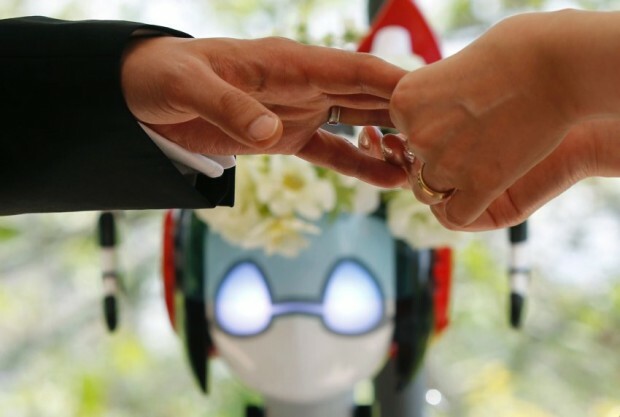 We all knew this day would come eventually, and that day was yesterday: a robot called “I-Fairy” conducted a wedding, an official one. Needless to say that the wedding took place in Tokyo and that the robotic wedding conductor is the brain child of a Japanese company, Kokoro. The Tokyo-based firm says the wedding, which took place in Tokyo’s Hibiya Park in front of 50 guests, was the first of its kind. 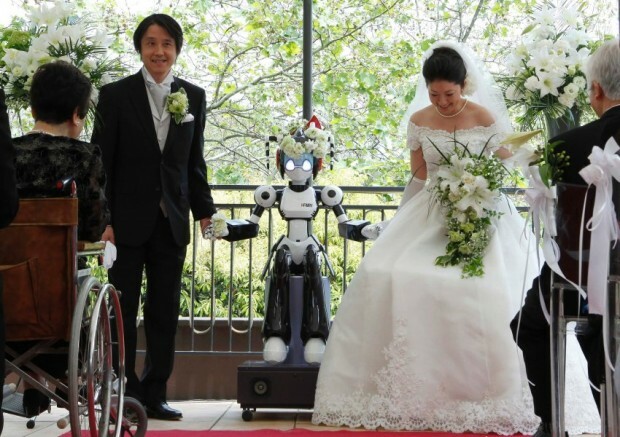 It’s weird, but this all makes a bit more sense when taking into account that bride Satoko Inoue (36) actually is a Kokoro employee and that husband Tomohiro Shibato (42) is a professor of robotics at the Nara Institute of Science and Technology in central Japan. I-Fairy stands 1.5m tall, actually gave instructions like “You can lift the bride’s veil now” and theatrically moved its arms during the ceremony (it has 18 joints in its arms alone), all remote-controlled by a human being (a friend of the newlyweds) in the background. Kokoro actually sells the robot to anyone who is willing to pay $68,000 for it (there’s even an English-language sales brochure [PDF] for the I-Fairy). The company is well-known for making super-realistic humanoids.